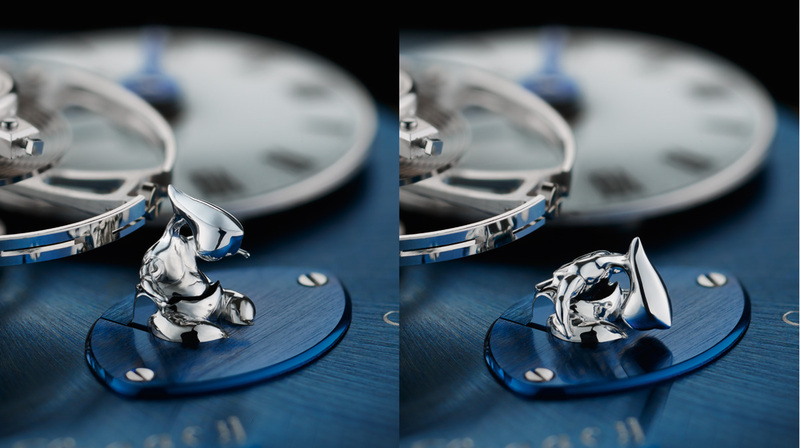 Working with Chinese contemporary artist Xia Hang, MB&F has created a limited edition Legacy Machine 1 with a micro-sculpture of an alien which functions as the power reserve indicator. 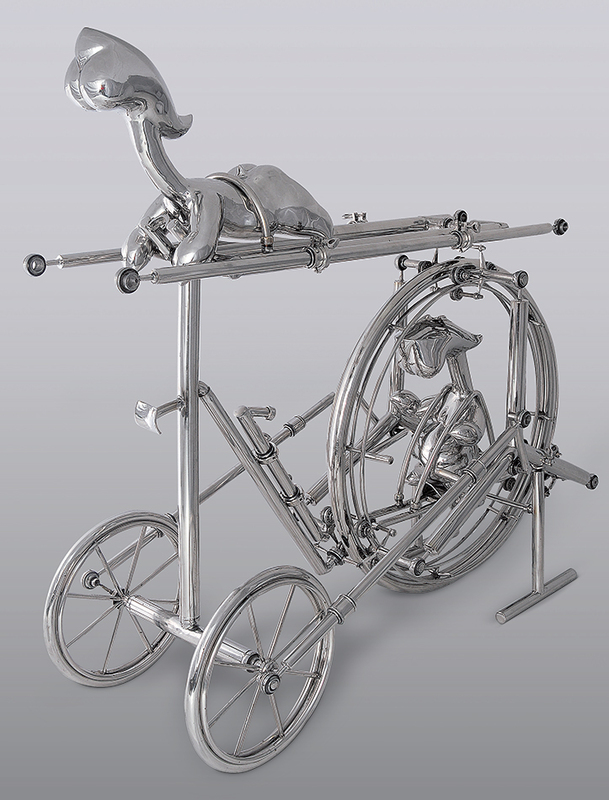 For the first limited edition of the Legacy Machine series, Maximilian Büsser has used the Legacy Machine 1 as a base and added a dose of Chinese contemporary art. 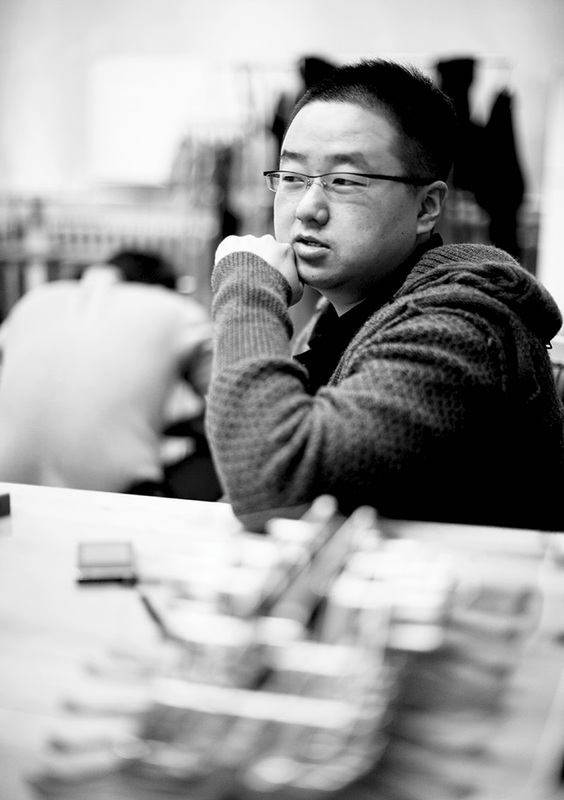 Xia Hang, whose works are mainly sleek, polished steel sculptures, created a tiny alien figure for the LM1 Xia Hang. 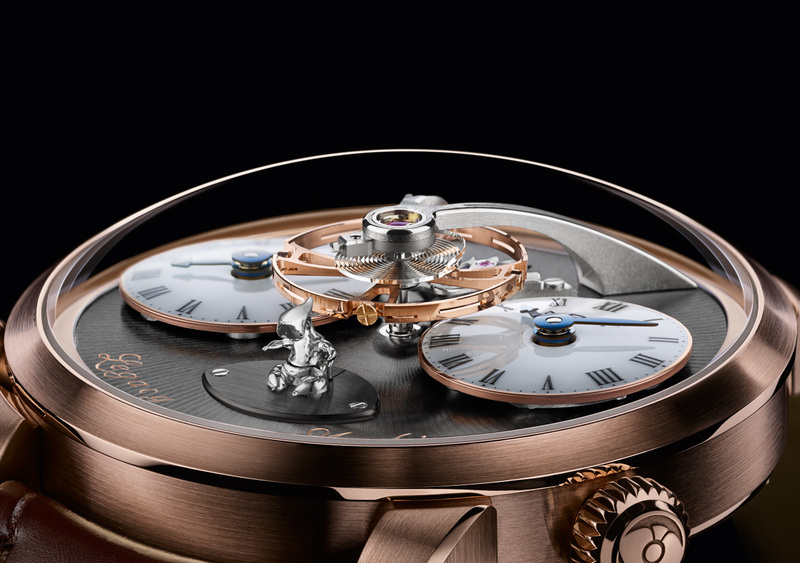 The alien functions as the power reserve indicator, sitting upright when the mainspring is fully wound, and slumping when the power reserve runs down. 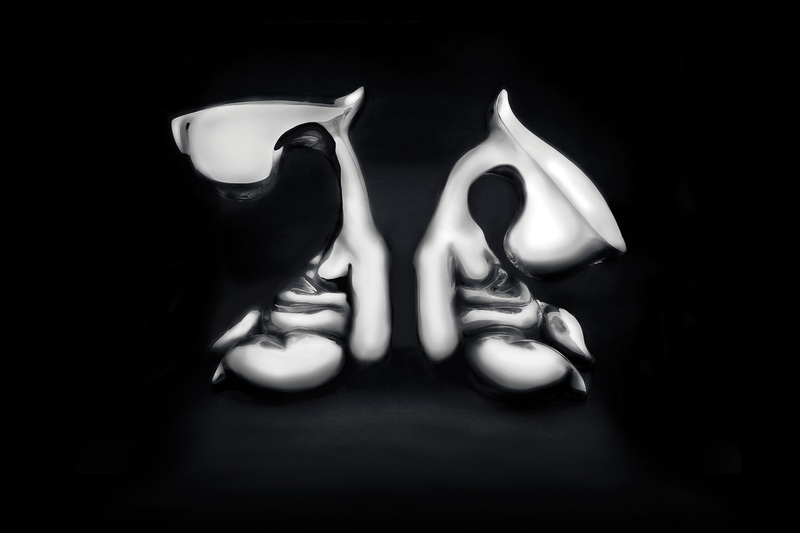 Based on a full size sculpture created by Xia Hang, the alien was machined from aluminium and then polished by hand to a mirror finish. Standing just 4 mm, or 1/8 ‘”, high, the alien takes the place of the vertical power reserve indicator in the original LM1 which was launched three years ago. MB&F’s collaboration with Xia Hang is its second such project with a Chinese contemporary artist, the first being the HM4 Flying Panda. At full wind the alien sits up straight, Mr Up, and as the 45 hours power reserve diminishes, the alien starts to droop and turns into Mr Down. The alien takes it form from the “comma men” of Xia Hang’s sculptures, which he based on the shape of the punctuation mark. Mechanically, the LM1 Xia Hang remains identical to the original, both in terms of size (the case is 44 mm) and function. But the LM1 Xia Hang has dial colours unique to this edition. 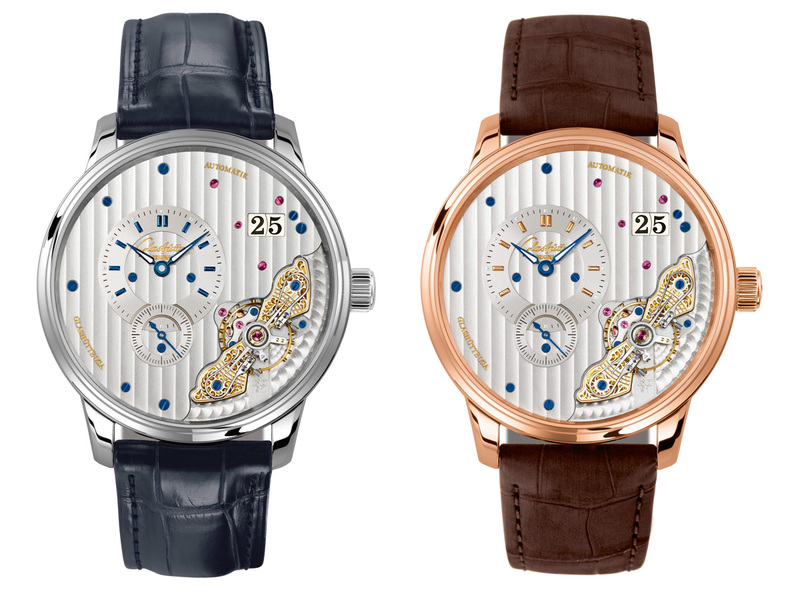 The red gold version has a dark grey dial, while the white gold is in deep blue (a darker shade than the blue LM2 in platinum from late last year). 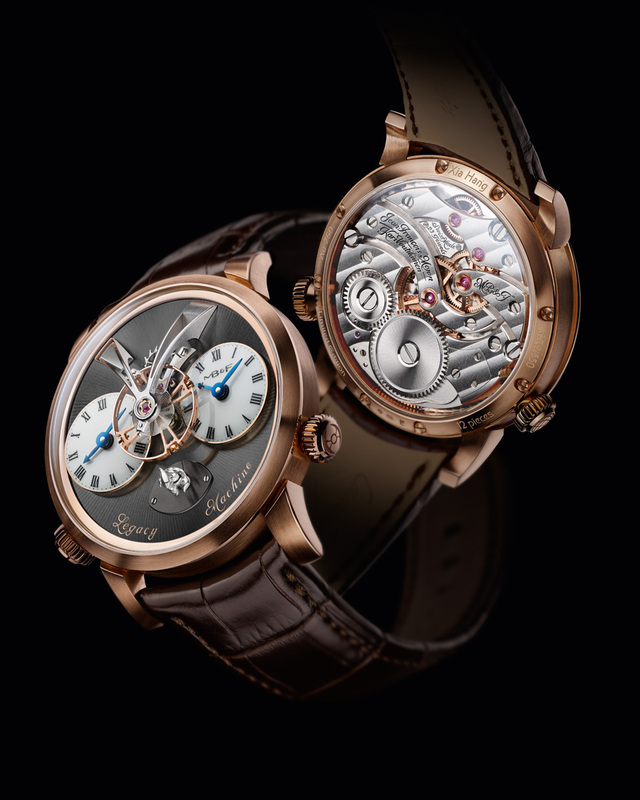 Both versions of the LM1 Xia Hang are priced at 99,000 Swiss francs before taxes, which is equivalent to about US$111,000. Each watch is delivered with a pair of stainless steel sculptures of Mr Up and Mr Down. For full technical details of the LM1, check out our extensive report. Baume & Mercier continues to grow its collection of mechanically sophisticated timepieces with the Clifton 8-Day Power Reserve, a limited edition for the brand's 185th anniversary, powered by a movement made by IWC. 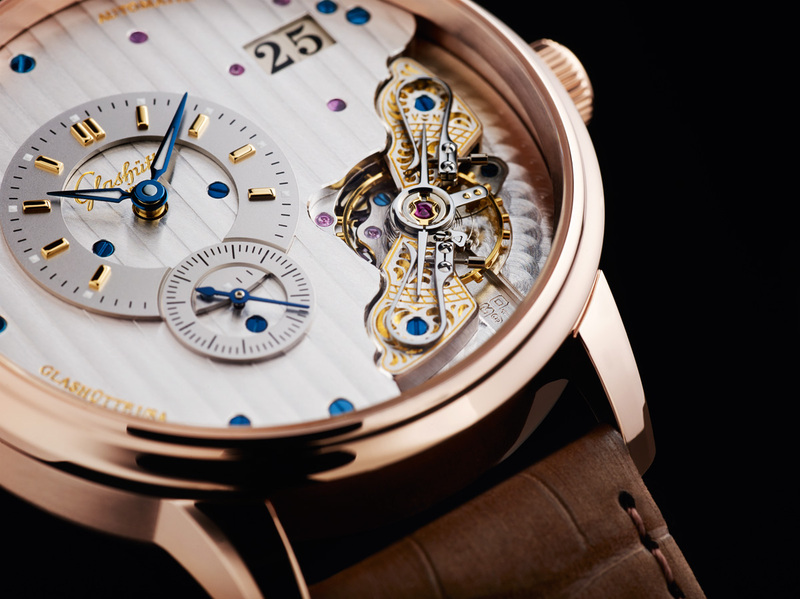 Glashütte Original’s signature inverted movement is now available as an automatic with extra-large date. 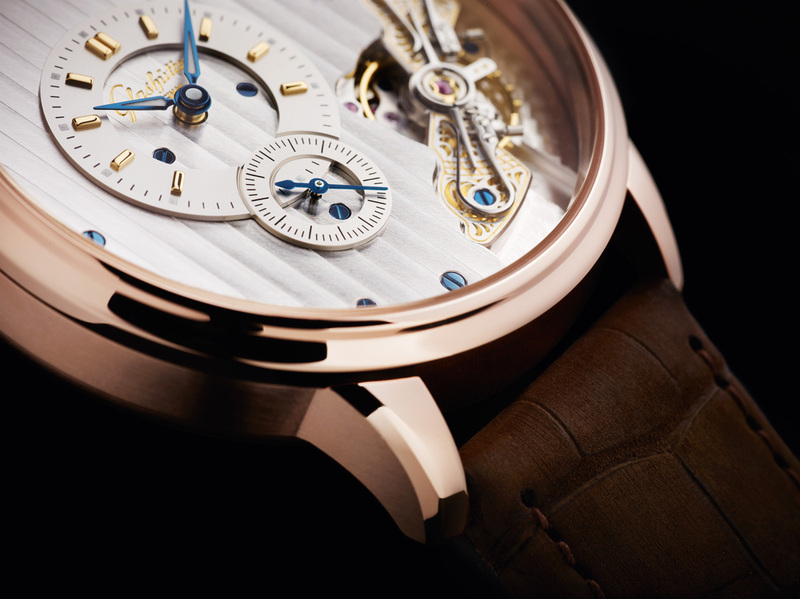 Christened the the PanoMaticInverse, the new model will be launched officially at Baselworld 2014. 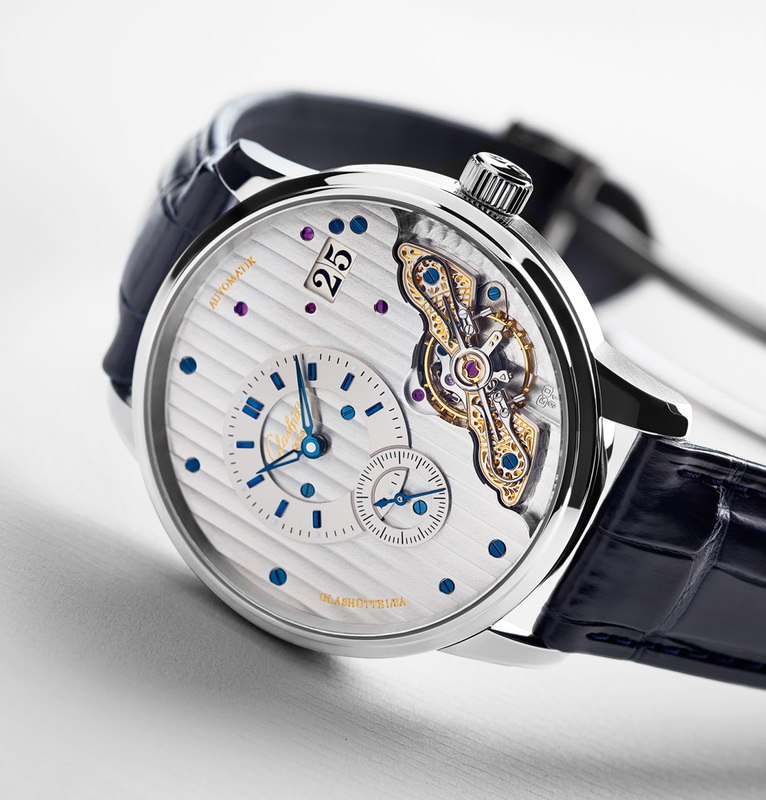 Unveiled in 2008, the Glashütte Original PanoInverse was novel because it displayed most of the movement on the dial side. 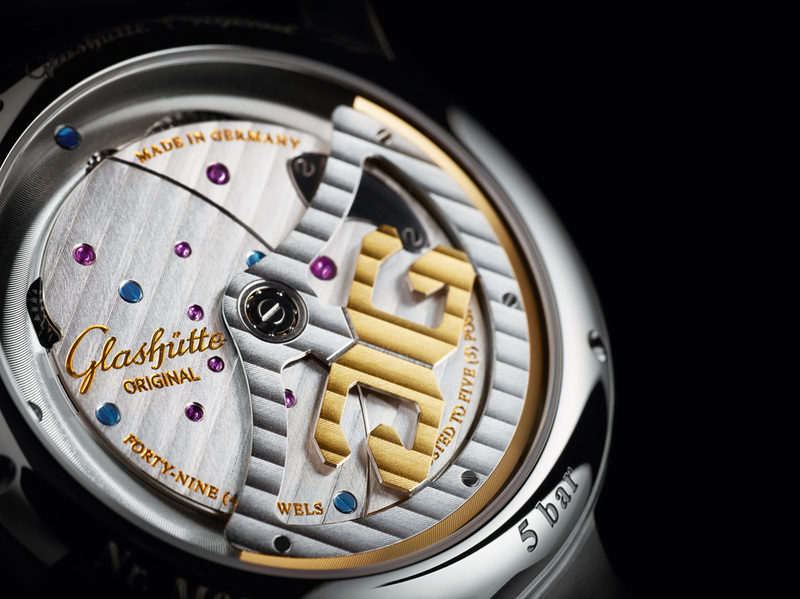 Now Glashütte Original has applied the same formula to the new PanoMaticInverse, which has the addition of an oversized date and automatic winding mechanism, and will soon be shown at Baselworld 2014. Though it is visually similar to the manual-wind PanoInverse, the PanoMaticInverse uses the newly developed Calibre 91-02. 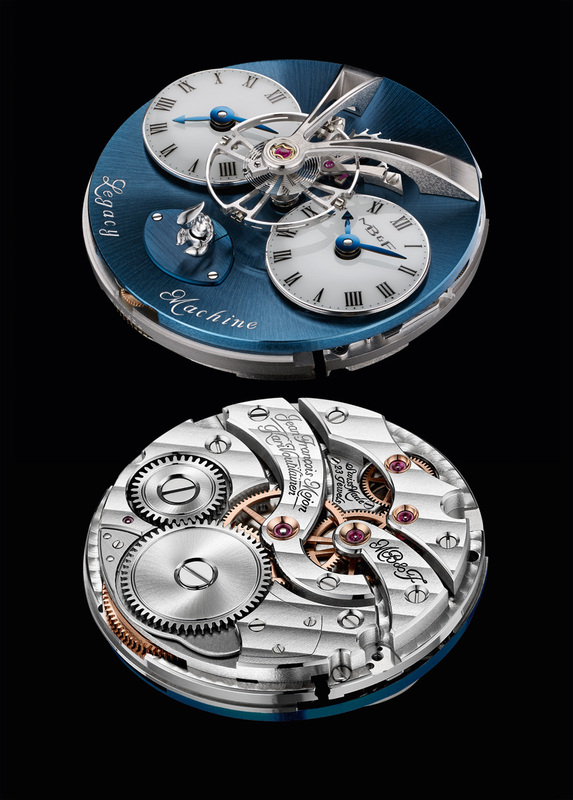 Decorated in what is now regarded as the German style of watchmaking, the movement base plate is finished with striping, and all visible screws are blued. 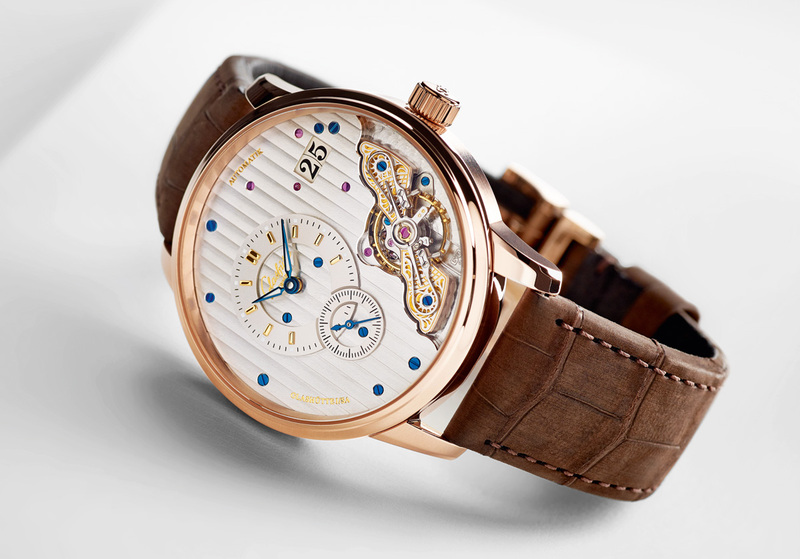 Self-winding with a 42 hour power reserve and a solid gold rim on the rotor, the cal. 91-02 is also equipped with a double swan neck regulator. More of an affectation than a technical innovation, it accomplishes no more than the traditional swan neck regulator, the double swan neck has nonetheless become a trademark feature of Glashütte Original. Besides the addition of automatic winding, the new PanoMaticInverse also features an oversized date display at two o’clock (where the PanoInverse has a power reserve display instead). 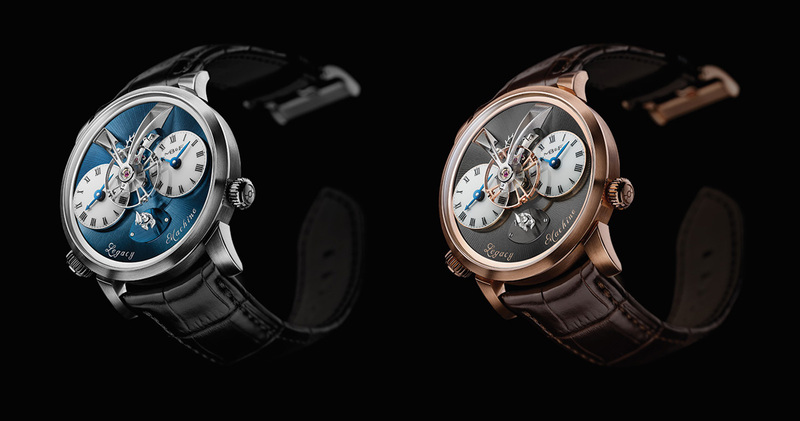 The PanoMaticInverse has a 42 mm case, available in either steel or rose gold. 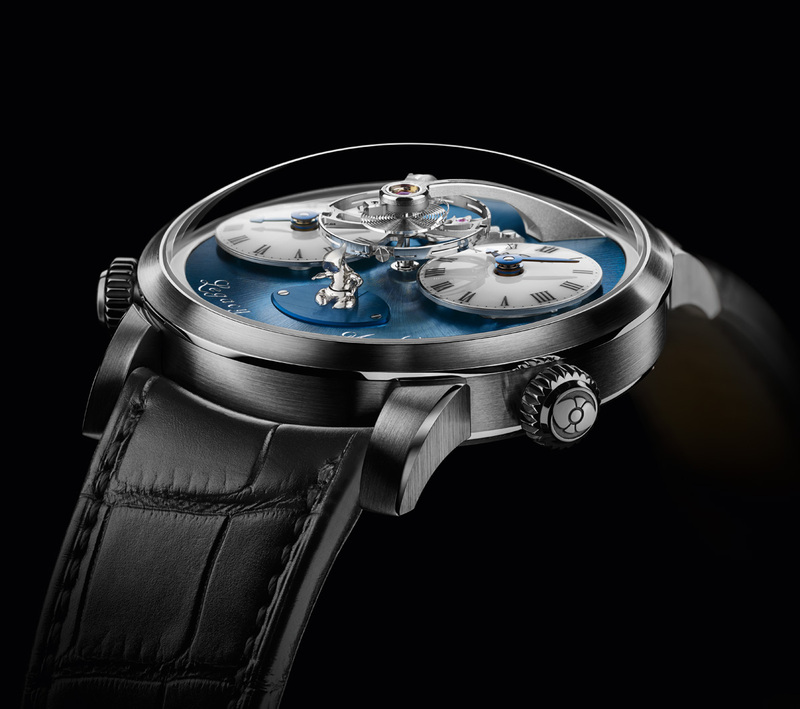 Excluding taxes, the steel retails for €12,000 (~US$16,400) on strap and €13,200 (~US$18,000) on bracelet. Rose gold will cost €24,000 (US$32,800).